On a very wet, miserable afternoon, I met up with Helen for lunch in Winchester. 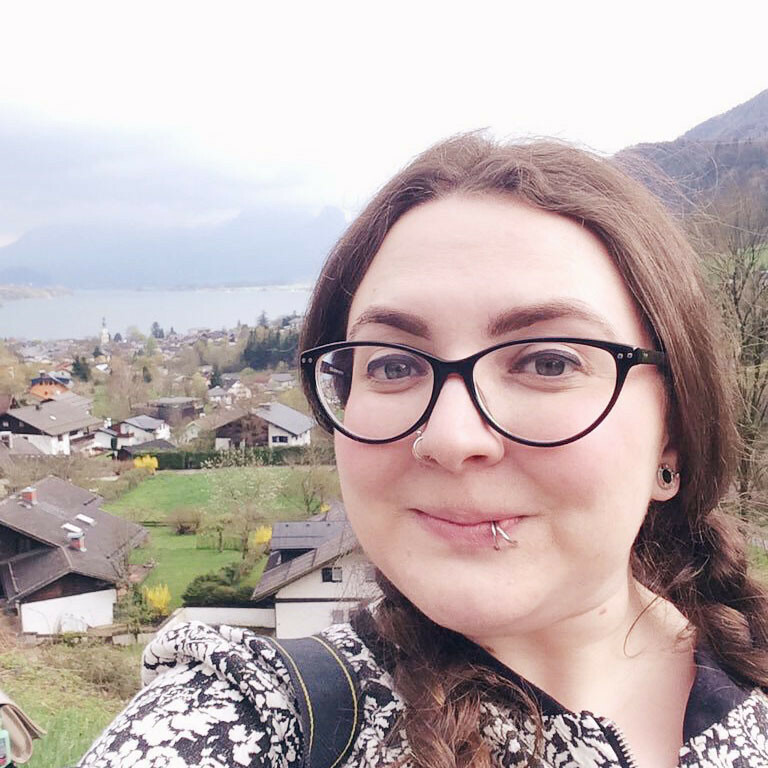 I hadn't seen her since we went to Bath in February so it was lovely to catch up. 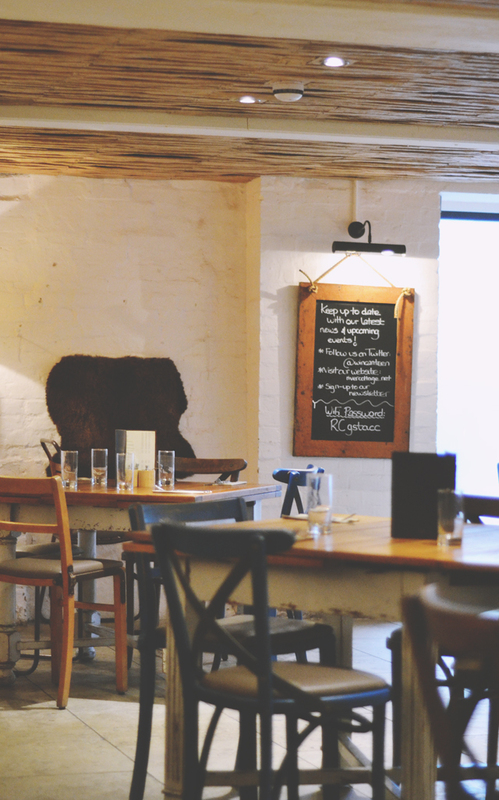 She suggested we visit River Cottage Canteen, which is housed in the stunning grade II listed Abbey Mill building overlooking the River Itchen. Despite studying in Winchester for five years, I had no idea the building was even there. It's only a stone's throw from the High Street but is tucked away inside the serene Abbey Mill Gardens. It's a shame it was such an awful day as it would have been gorgeous to eat on the patio with a river view. Both Helen and I are big bread fans so we ended up getting two trays of bread for the table. 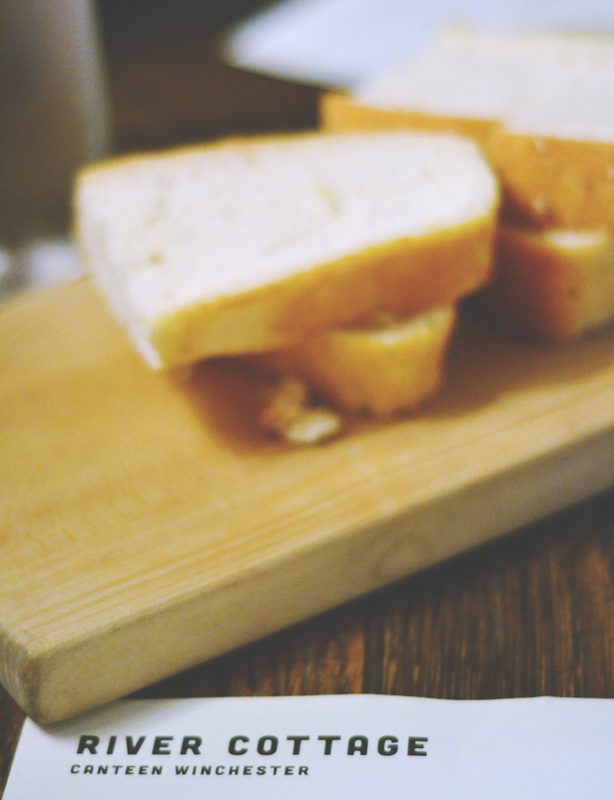 It was the most delicious bread with a soft, fluffy texture and a sprinkle of sea salt on the crust. The best thing about the bread? It was free! Whenever I go out to eat, I scan the drinks menu for elderflower. River Cottage Canteen had two options- still and sparkling. 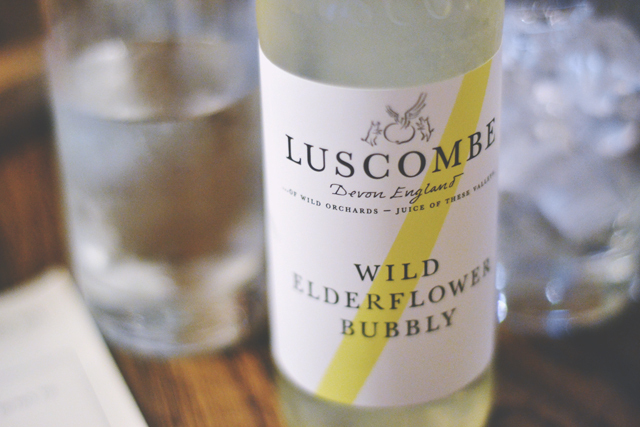 I plumped for Luscombe Elderflower Bubbly which is blended with Sicilian lemon juice. It was delicious! 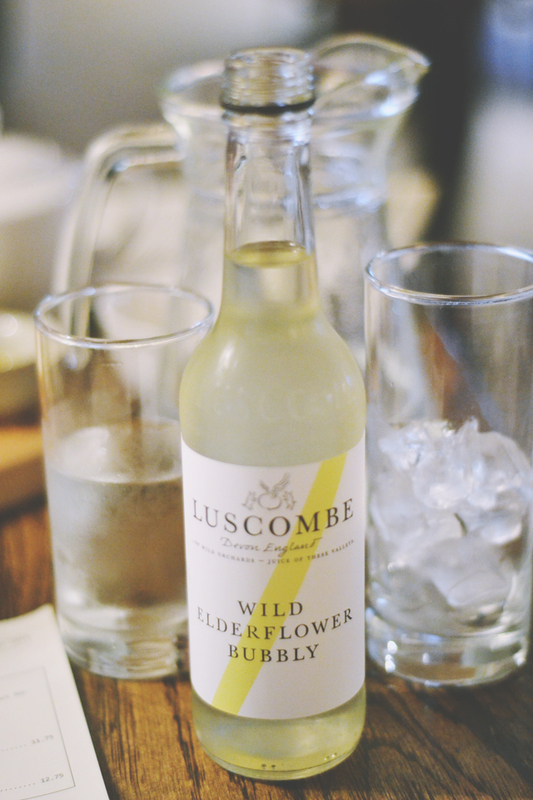 You're getting two photos of the elderflower because... well... I might have got a bit too excited by the sight of my burger and dived right in without taking a photo! The beef was locally sourced (as were most of the dishes on the menu) and served in a brioche bun alongside lightly seasoned chips that were a little too soft. It was a lovely place to stop off for lunch, and I'll definitely be heading back. I've picked up a copy of their Christmas menu so I might pop in when I'm on my annual Winchester Christmas Market trip! I didn't know you're Winch alumni?! I'm just about to start my third year there. Will pop this on my list for a study break/ lunch between lectures. I've always wanted to visit a River Cottage canteen as I've watching the TV show for years, but I still haven't! There's one in my town so I don't really have an excuse for not visiting!